Finally. The harvest has arrived. The gestation period is over. The trigger was pulled. The fat lady has sung. The Randy Savage/Macho Man graduation song is playing. And whatever other analogies you can think of to indicate the culmination of something. First at the San Diego Asian Film Festival this past weekend, we made a Louis CK-esque announcement about YES WE’RE OPEN‘s self-distribution plans! We’ve cut out the middle man and made it super affordable for the public to purchase and enjoy. By visiting www.YesWereOpenFilm.com, you can download the film now for a mere $5! And for $10, you’ll get DOUBLE the content with 2 commentaries, music and promo videos! The poster sums it up. The usual story with small films like these — is it hits a festival, gets seen by a few hundred people in the audience, while everyone else has to wait months or a year until it arrives near them. And once in theaters, it gets buried under the studio advertising avalanche and blockbusters chock-full of the usual 20 actors with Low Q-Scores. So I’m ecstatic that we’re taking ownership of the film and making it accessible to WHOEVER the hell wants to see it and pass on the savings to them. Another long, percolating project is ALSO out today. 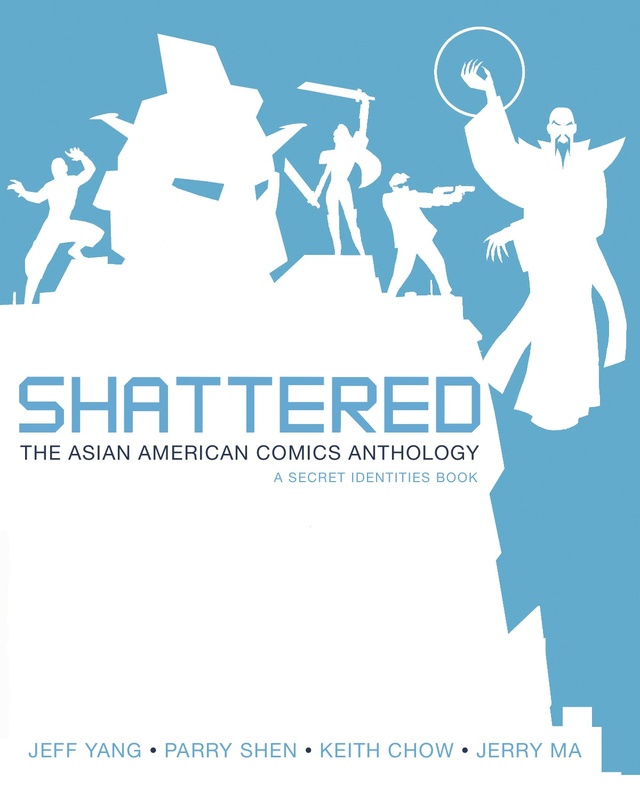 SHATTERED: The Asian American Comics Anthology can now be purchased on all on-line book retailers. Honestly, it’s heads above the first volume and I absolutely love how my pieces (continuations of characters from Volume I) “HIDE and SIKH” with artist Jeremy Arambulo (Pg 83) and “THE HIBAKUSHA: Secrets” with artist Sean Chen (Pg 153) turned out! Plus lettered by Janice Chiang, who I’ve grown up reading her lettered comics in the 80’s and now to my kids (she currently letters THE SMURFS). But don’t take my word for it, check out the new trailer below by Michael Velasquez and see how excited Jubilee from the X-MEN is!! !